It is very easy to advise someone to stop wasting time, but if we don’t explain to them why and how they can stop wasting time, it will be hard for them to start working without wasting time. Here we are listing some common reasons that make people procrastinate forever. 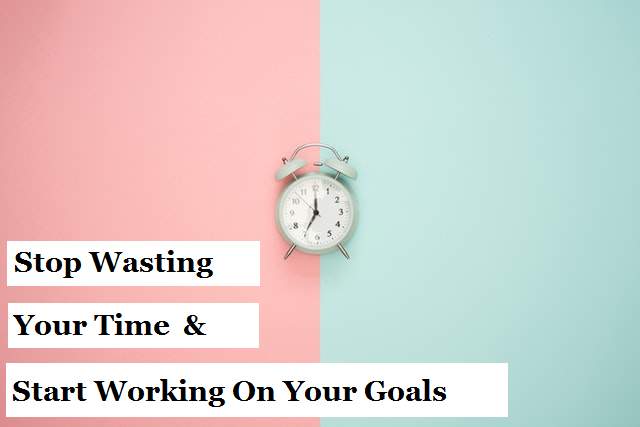 We are not advising you to do tasks without perfection, but instead of planning and working, if you are waiting for a perfect time or perfect outcome, you are simply wasting time. When you actually start working on something, by experiencing the results of your work you can feel the real inspiration. Never think “inspiration first and work next”, as you work more you will get more inspired towards your goal. To learn more google “Achievement Motivation”. Doing everything by yourself causes fatigue, constant rush and burnout. Instead, try and delegate tasks and manage resources to get tasks done. By comparing yourself with others, you only feel jealous and insecure. Instead of comparing if you can concentrate on planning and start working, one day you can become the person you wished to be. Fear of failure holds us back from starting our work, so do not think about failure, plan and start working. Think about your goals, what you want with your life and where you want to be in the next 5 – 10 years. Start listing your goals set a time limit for each goal. Start working on a single goal at a time.